Snapshot: Lionel Messi collects Ballon d’Or award – and is he wearing make-up?! Is it just me, or is Little Lionel wearing make-up? 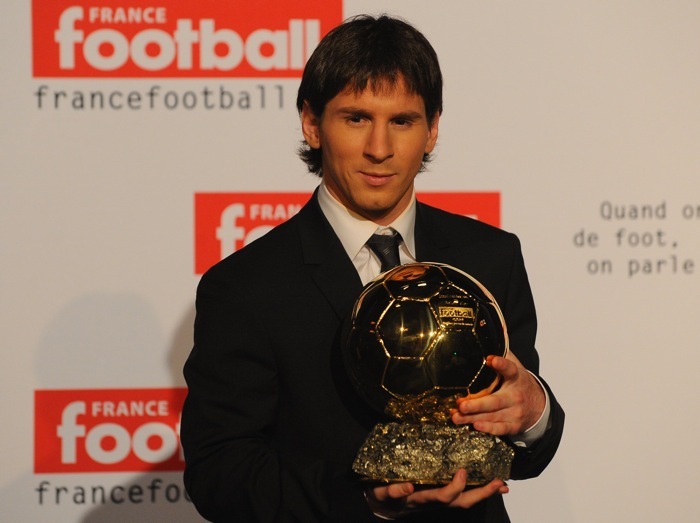 Either that or its a Messi waxwork posing with the Ballon d’Or. Whatever, congrats to the Argentine for winning Europe’s top award – he deserves it.